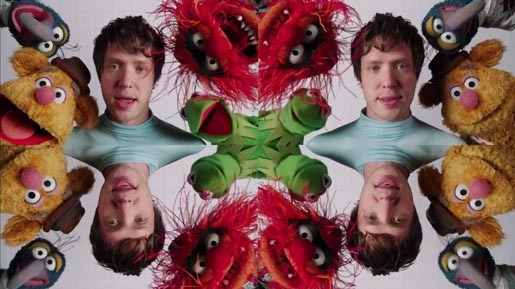 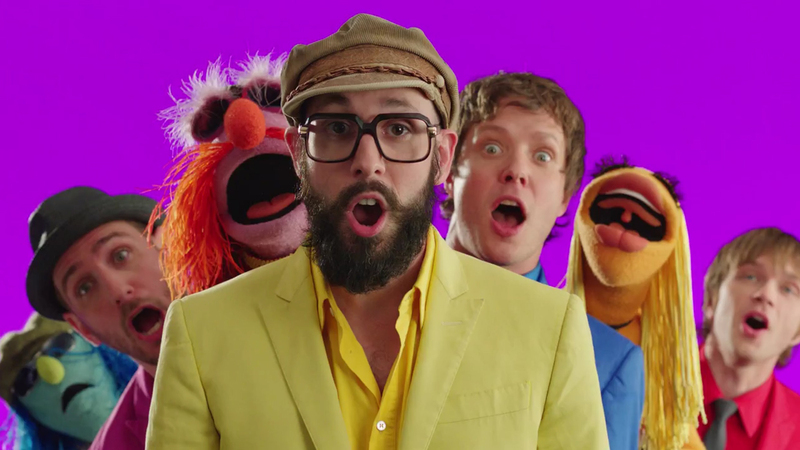 OK Go and the Muppets appear together in a remix of the Muppet Show theme song, promoting the newly released “The Green Album” and building anticipation for the Muppets movie coming out in November 2011. Filming was shot by director Kirk Thatcher via Soapbox Films with producer Kris Eber, director of photography Craig Kief, production designer Bill Lakoff, editor Matt Blundell, VFX/2nd Unit director Chris Alender and 2nd unit director of photography Mateo Londono. 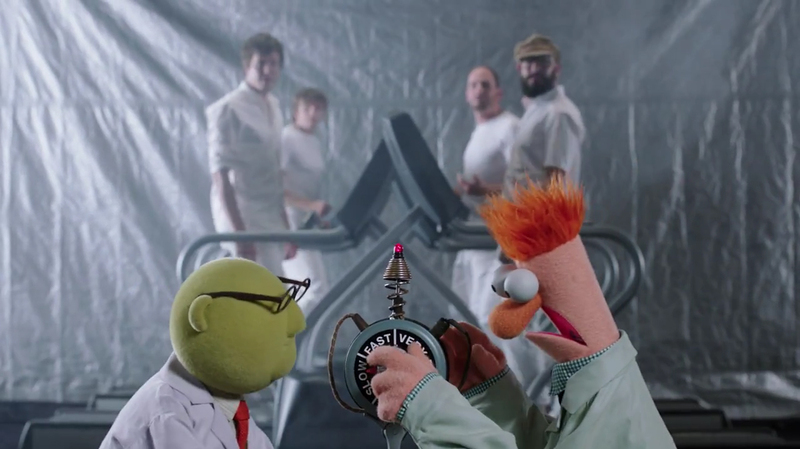 The Green Album is a multi-band tribute to the Muppets, with songs from OK Go, Weezer (featuring Hayley Williams), My Morning Jacket, Alkaline Trio, The Fray, Amy Lee, Sondre Lerche, The Airborne Toxic Event, Brandon Saller, Andrew Bird, Matt Nathanson and Rachael Yamagata.